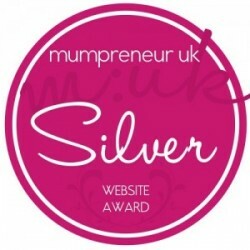 Mumty Bumpty are over the moon to have won a @MumpreneurUK Silver Website Award! We will be adding the badge to our website https://mumtybumpty.com/ as soon as possible. Apparently each nominated website is judged by a panel of independent industry professionals who base their decisions on a variety of aspects including design, ease of use, navigation and much more. Displaying one of their award badges on your website not only instils confidence in the user, it also promotes your website and business as one who pay attention to detail and cares about the visitor experience. Our next aim is to get a Gold Award – so any constructive feedback you have about our website, your customer browsing/shopping experience, is always welcome as we aim to improve!